Quiet, unassuming Rutland is England's smallest historic county, a place for walkers and ramblers who like their unspoilt rural vistas dotted with historic houses and castles and the occasional pretty village with an interesting museum. And a tea shop. Or pub. 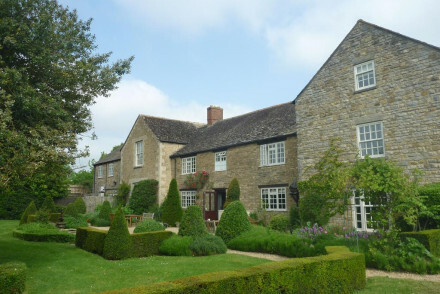 Most of the best places to stay in Rutland look like they come straight out of a postcard - either a charming rural village, lovely landed pile or a country market town. Rutland has two main towns - Oakham and Uppingham, old market towns known for their history and heritage. These centres are only six miles apart and both have regular farmers markets, cute little independent shops, some quite nice architecture to appreciate and several good pubs. Uppingham also has a number of art galleries. Rutland's villages are smaller versions of the towns. The quality of the local produce and popularity of these local markets is starting to make Rutland a bit of a foodie county. Most of Rutland's rolling rural views are natural, but Rutland is also home to Europe's largest man made lake, Rutland Water, Anglian Water's drinking water reservoir. As well as its practical uses, Rutland Water has become home to a vast array of wildlife, from fish to waterfowl to migrating birds. Rutland's Egleton Nature Reserve, on Rutland Water, is host to the annual British Birdwatching Fair. Spot a wide variety of birds in Europe's largest man made lake, Rutland Water. Explore the county's picturesque castles and historic houses. Embark on long hikes across the unspoilt countryside. Visit the historic market towns of Oakham and Uppingham. The best places to stay in Rutland get very busy during the summer months. So if you're planning to visit the area during the peak periods, get organised and book ahead! The Olive Branch is a Michelin starred gourmet pub/ restaurant with just six shabby chic rooms, but a charming rural atmosphere, surrounded by a pretty small village. Hambleton Hall is a luxurious country house hotel slap bang in the middle of the Rutland Water Nature Reserve, surrounded by 17 acres of its own beautiful grounds and with lovely lake views. This is a great place for an outdoors-y break, but they also have a Michelin starred restaurant, so it's a good place to treat yourself as well. If you've decided that a self catering property would be more suitable for your holiday, then we recommend you visit our online booking partner Booking.com where they have a wide selection for all tastes and budgets. Take a train to Oakham, the county town of Rutland, well connected across the UK or drive from central London in 2 hours. Best time to visit - Rutland is a year round destination offering something with each season but for long (often) warm days visit between the summer months of May - August. If you plan to hire a car, we recommend you visit our online partner Rentalcars for the best prices. 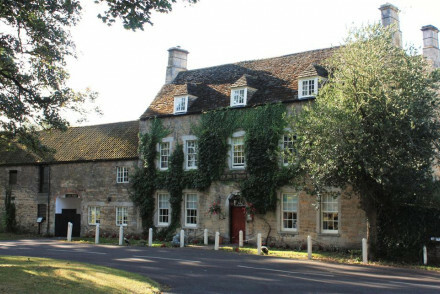 Michelin recommended gourmet pub/restaurant of just six smartly refurbished rooms with a charming atmosphere in the middle of a small village in Rutland. 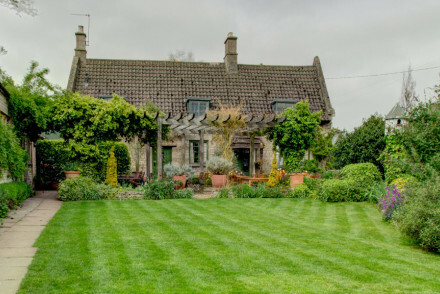 A charming country house in the picturesque Rutland countryside. Individually styled rooms are simply dressed with soft hues, crisp white linen and contemporary bathrooms. Expect a fantastic (and locally popular) restaurant, pretty gardens and a very warm welcome. Country Escape - A pretty country house set in mature gardens and offering a fantastic restaurant and warm welcome. Great walks - Explore miles of walking trails that run through the picturesque countryside. Fishing - Fish for trout on Rutland Water, known to be some of the best in Europe. Sailing - Rutland Sailing School offers lessons on the scenic Rutland Water. A small country hotel, a former 17th Century coaching inn, boasting a picturesque spot on the large green in the pretty village of Exton. Elegant rooms are warm and atmospheric with rich hues, antique pieces and open fireplaces. There's an excellent modern British restaurant too. Country Escape - A traditional country inn surrounded by glorious countryside. Great walks - Explore the miles of scenic walking trails starting straight from the property. 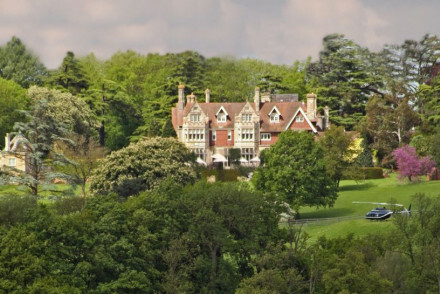 Superbly run lakeside luxury country house hotel with no gimmicks but Michelin-star food, peace and comfort, along with plenty of outdoor activities on tap. Family friendly, an oasis of comfort.